Waukesha Metal Products offers a fully equipped in-house tool and die facility staffed by experts who specialize in manufacturing and maintaining progressive dies as well as transfer and stage dies that create impeccable end products. Our journeymen toolmakers combine old-world craftsmanship and attention to detail with the latest in innovative metal stamping and fabrication technology. They bring years of experience to their work building dies and machines for progressive, transfer and stage operations. Our craftsmen incorporate in-die assembly and measurement with our in-house developed sensor technology. The Waukesha Metal Products tool and die crew also builds fixtures for our metal fabrication processes. 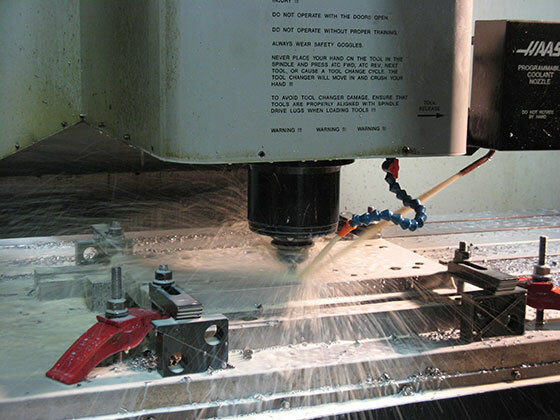 Not every metal stamping and fabrication shop has its own tooling capability, so our in-house tool and die shop provides us and our customers with many unique advantages. First, we know our presses best. Our experienced tool and die experts know how to build the dies to exact specifications for maximum efficiency in our wide range of presses, allowing us to tackle the most complicated metal forming challenges. Having an in-house tool and die room also means that when production challenges arise, we can quickly make the necessary adjustments to keep things up and running. That means shorter lead times for our customers.